Sounds like a rhetoric question, doesn’t it? I mean, who doesn’t love elevators?! Not only do they make our lives easy by saving us all the time that we would otherwise be wasting on climbing stairs, but they are also very entertaining to be in. Like for instance, have you ever observed a kid in an elevator? You’d see a HUGE smile on his face the entire time he’s in it. And not only kids, but almost all the people also enjoy the experience. And when you come to think of it, sometimes it’s just inconceivable how advanced we’ve become. Imagine, you’re coming home fully exhausted after a long day at work, and you just can’t wait to get in bed and sleep. And all of a sudden you remember that your room is on the top floor of the building. 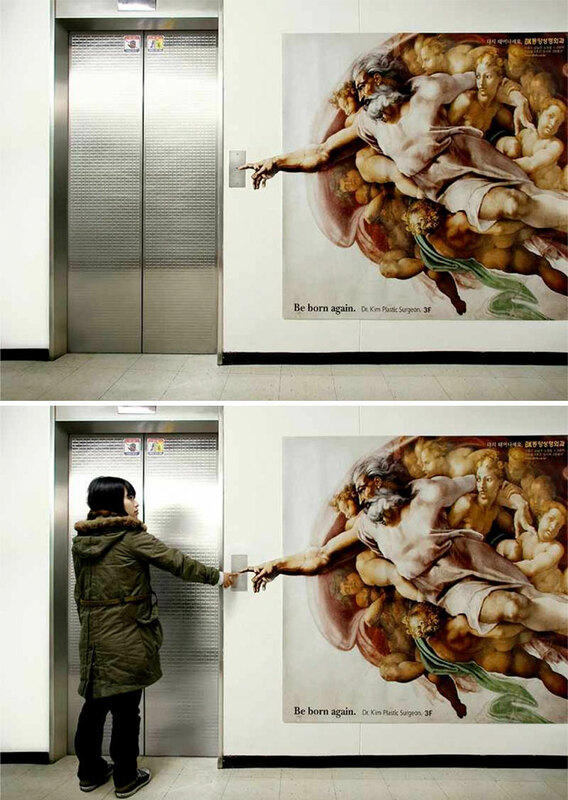 Now if it weren’t for the elevator, you’d be climbing up to A LOT of stairs. 1. 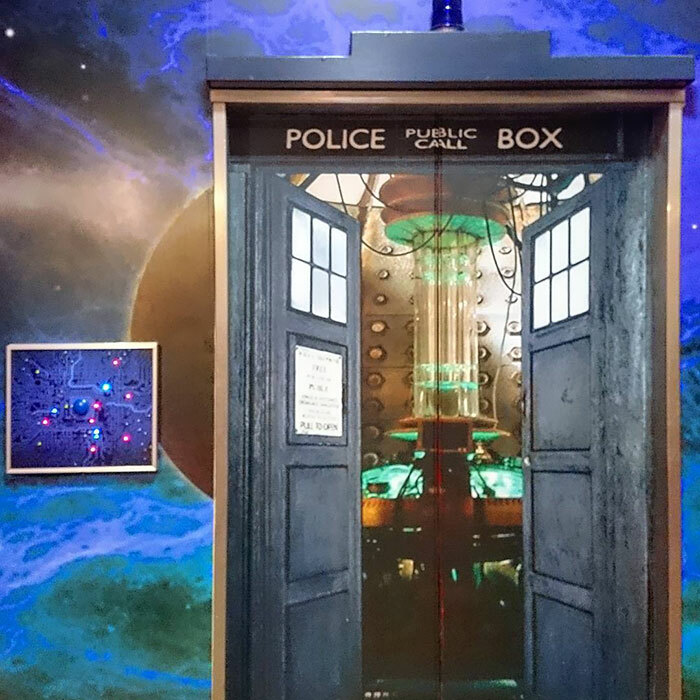 This magical Elevator at the World Trade Center Tour shows you the Architectural History of New York. 2. 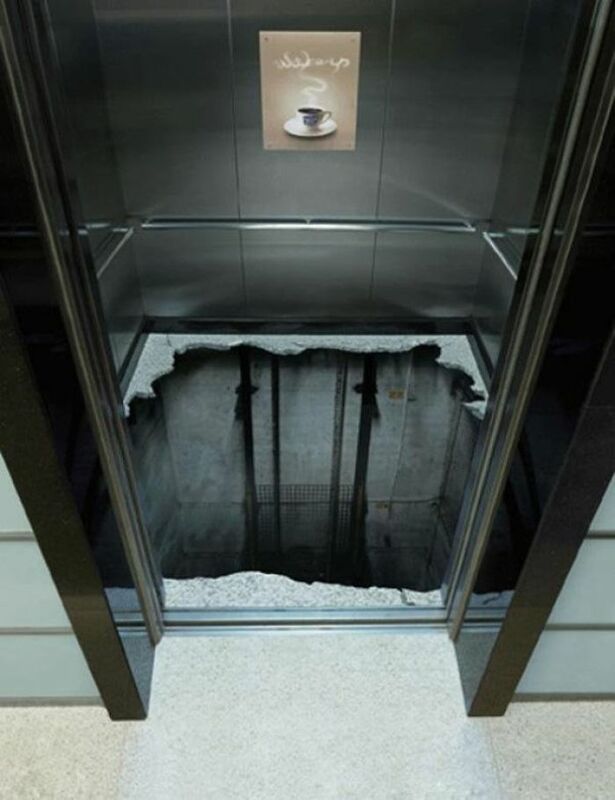 Scary Elevator Floor Painting. 3. 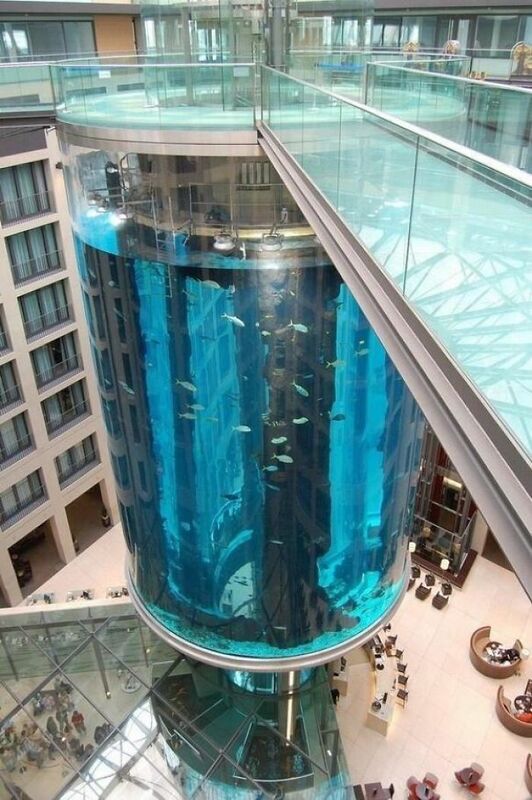 Here is an elevator inside an aquarium in Berlin, Germany. 5. Elevator with an additional Emergency Alarm Button near the floor in case you fall down and can’t get up. 6. Elevator with kick buttons in case you feel like a little kid again. 7. 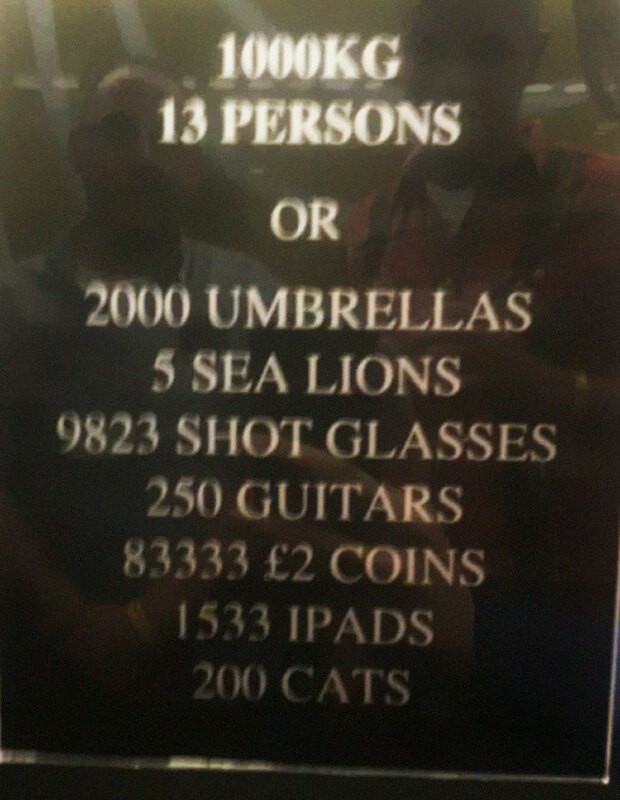 An interesting elevator sign with the most accurate approximation. 8. 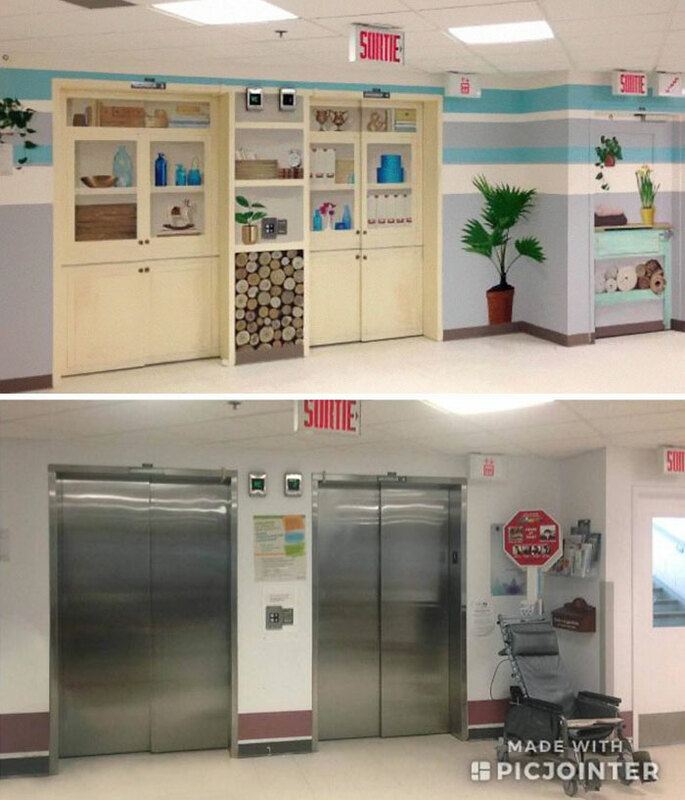 These elevators inside the centre for long-term ill elders are decorated and made colourful to give patients a friendly environment and also to keep them from running away. 9. 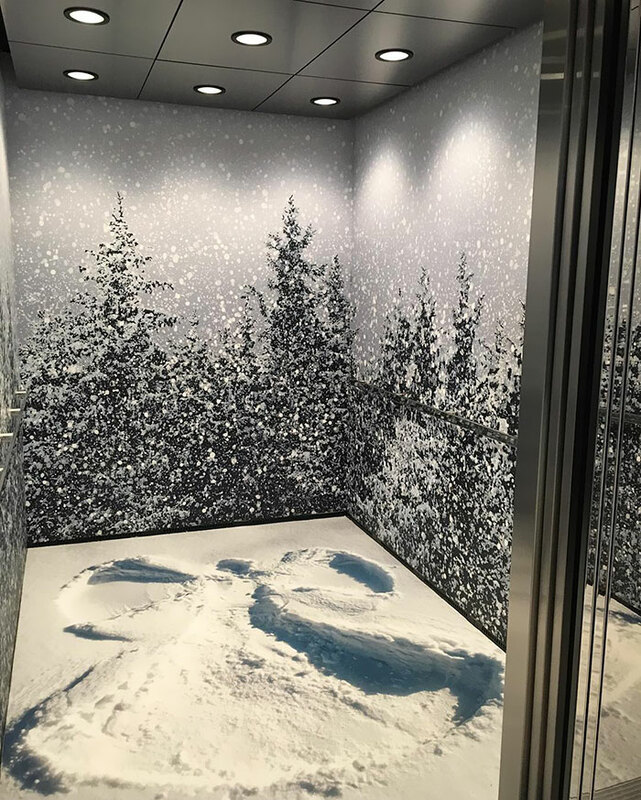 This elevator will give you the winter feels.